When going out to eat with friends, it's inevitable that one person takes charge at the end of the meal to split the bill. They whip out a pen and begin asking everyone what they ordered, carefully dividing, adding, and subtracting on the back of the receipt for everyone to use. Unfortunately, that never seems to work as intended. One person will end up paying a little more, while another will pay less. 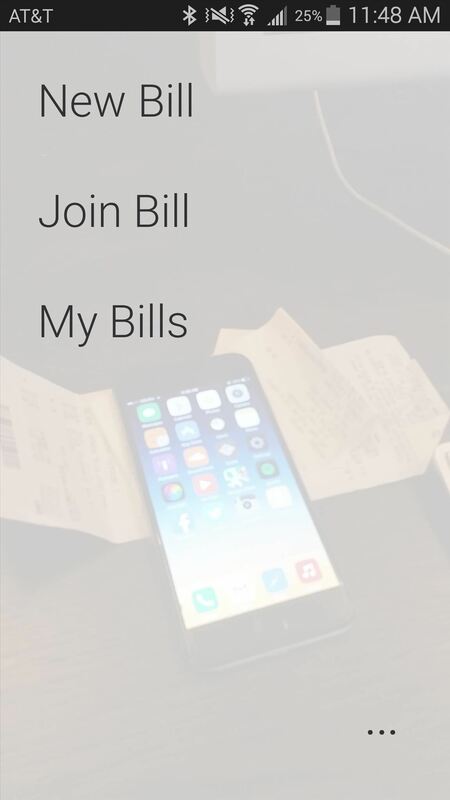 Tab, an Android and iOS app, makes it easy to split the bill by allowing one person to take a photo of the receipt, then split it among everyone using their smartphone. If others have Tab on their phone, they can also join in using a share code to make the process even faster. It's faster than apps like Plates that make you enter everything manually, and prevents having to use things like Venmo or Snapcash to get your money back later, because there's no excuse for anyone not to pay right then and there. 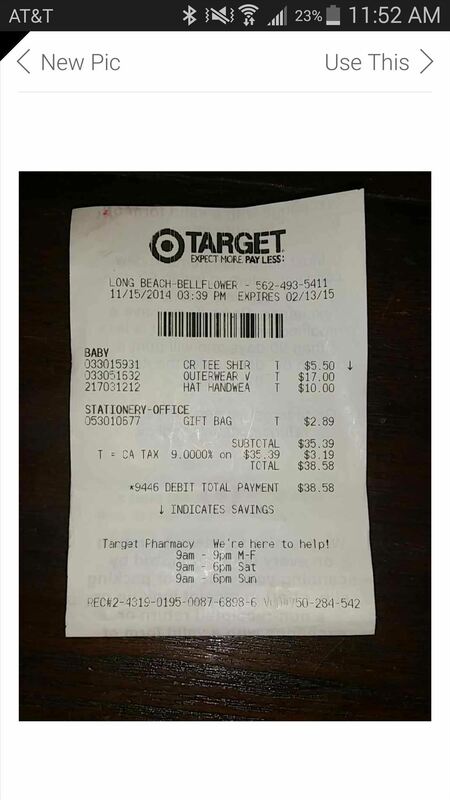 Begin by entering a short nickname for yourself, then just snap a picture of your receipt. Make sure that it's flat, undamaged, and is preferably set against a non-reflective and monochromatic surface. 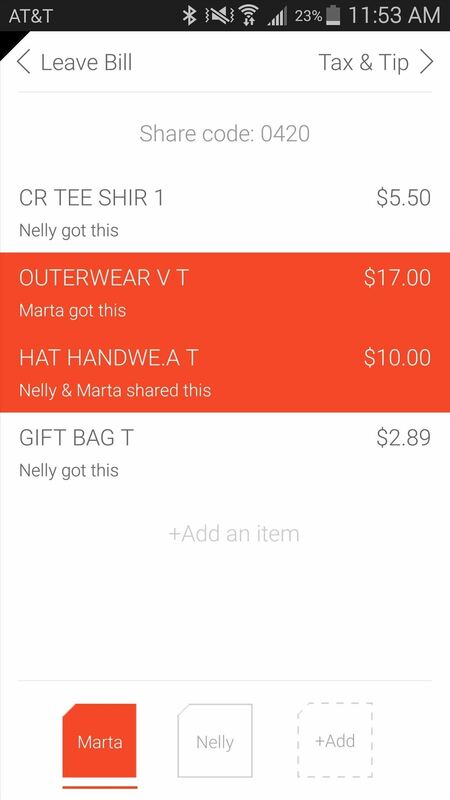 All of the items will show up in Tab, in the order that they appear on the physical receipt. Add people to split the tab with from the bottom of the screen so that you can separate items. Edit, delete, and divide an item by holding down on it. Once you're ready to divvy everything up, select the person from the tabs underneath and simply tap on an item to designate it to that person. If multiple people shared an item, they can each highlight it to denote that they "shared." 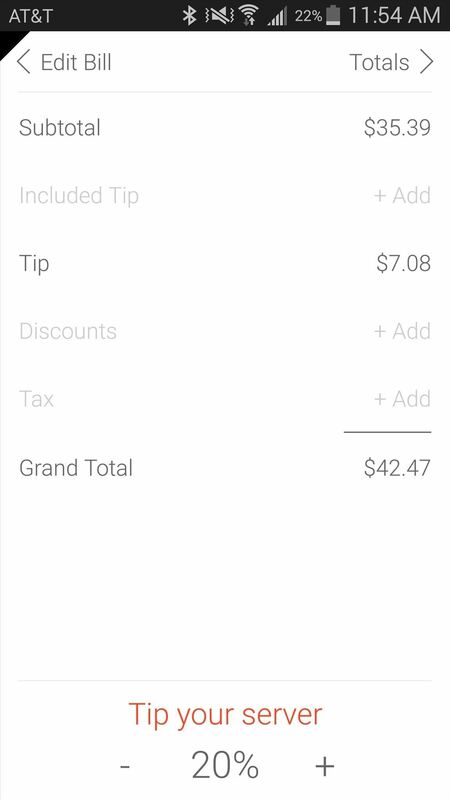 On the next page, you can edit how much you want to tip and add any additional discounts or taxes accordingly. 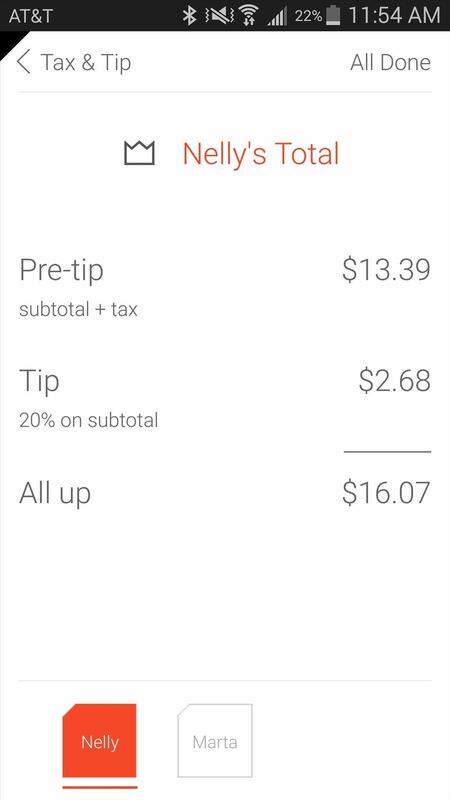 After tax and tip are calculated, you'll be able to view the total for each person on the bill. From there, it's up to you to show everyone the total and split everything through cash or card. Through the total pages, you can tap on the crown next to someone's name if it's their birthday. This will split their tab evenly amongst the rest. Since Tab is available on both Android and iOS, everyone (unless you're a Blackberry or Windows Phone owner) can use the "Share code" available at the top of the bill to log in through their phone and split the bill for themselves. For more mobile tips and tricks, follow Gadget Hacks over on Facebook, Google+, or Twitter.